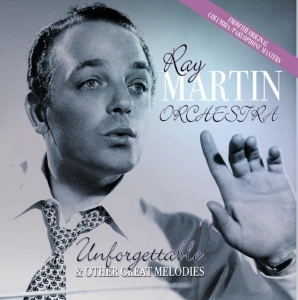 Ray Martin was a very popular Bandleader in the early 50’s who enjoyed several hits on the ‘new’ pop charts. His recordings have been well represented in the CD era but this is the first to feature many of his earliest releases. Ray was also an A&R man for EMI and his band featured on countless hits for other artists. The whole CD was sourced from original EMI master tapes and archive materials and compiled at Abbey Road Studios in London.